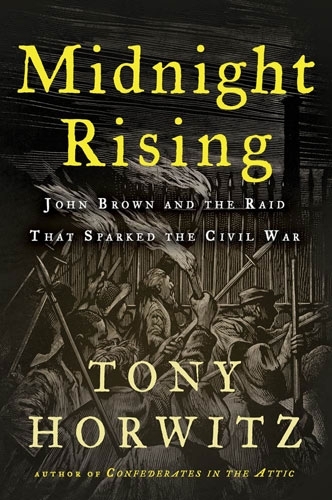 Midnight Rising: John Brown and the Raid That Sparked the Civil War by Tony Horwitz first caught my attention when it was offered on the War Through The Generations blog as a prize, one of three books generously donated by Macmillan Audio. 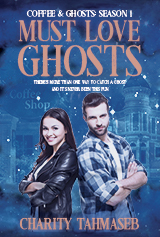 Alas, I did not win a copy of the book, but I went searching for it at my library. And there it was, in all its audio book glory. I put myself on the waitlist and hoped my turn would come up before the end of the year. My turn did come up. And I’m happy to say it was worth the wait. Plotted in secret, launched in the dark, John Brown’s raid on Harpers Ferry was a pivotal moment in U.S. history. But few Americans know the true story of the men and women who launched a desperate strike at the slaveholding South. Now, Midnight Rising portrays Brown’s uprising in vivid color, revealing a country on the brink of explosive conflict. Brown, the descendant of New England Puritans, saw slavery as a sin against America’s founding principles. Unlike most abolitionists, he was willing to take up arms, and in 1859 he prepared for battle at a hideout in Maryland, joined by his teenage daughter, three of his sons, and a guerrilla band that included former slaves and a dashing spy. Tony Horwitz’s riveting book travels antebellum America to deliver both a taut historical drama and a telling portrait of a nation divided—a time that still resonates in ours. The book covers John Brown’s life and provides enough information on those around him (of both personal and historic importance) that I came away with a better understanding of this single-minded man and the time in which he lived. While I enjoyed the entire book, the section that covers the raid and the summer build-up to it were especially interesting. I was particularly taken by Annie Brown and the summer she spent in the company of her father and his men at the Kennedy farm in Maryland (not far from Harpers Ferry). Annie and her sister-in-law Mary (wife of John’s son Oliver) spent the summer at the Kennedy farm as camouflage, to help make it look like a real working farm–because a group of men doing nothing but moving and hiding large crates looks suspicious. The above illustrates what I enjoyed about the book. The narrative is rich with historical detail, while at the same time, makes for compelling reading. In all, Midnight Rising: John Brown and the Raid That Sparked the Civil War by Tony Horwitz is a detailed and fascinating look at a very important event in US history. I highly recommend it. I would like to up my reading again this year. I read 60 books last year (this includes audio books). This year, I want to read one print/e-book per week, for 52 books, plus whatever I listen to in the car during the commute. Rough goal: 75 books this year. Can I do it? We’ll see. I’m going to participate in a reading challenge this year. I didn’t last year and I missed that. War Through the Generations is doing a Civil War reading challenge. And hey, I’m one book in already. My goal is three to five, but I hope to read more than that. How about you? Any reading plans? A challenge or two? Tackling the TBR pile?